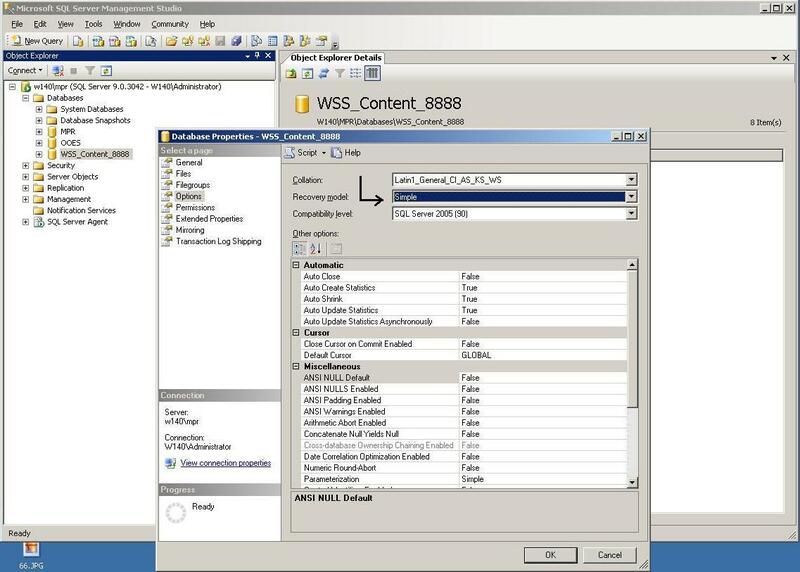 Go to Start –> Programs –> Microsoft Server 2005 –> SQL Server Management Studio; Click SQL Server Management Studio Connect to Server dialog box will appear (see Figure 1). 2. 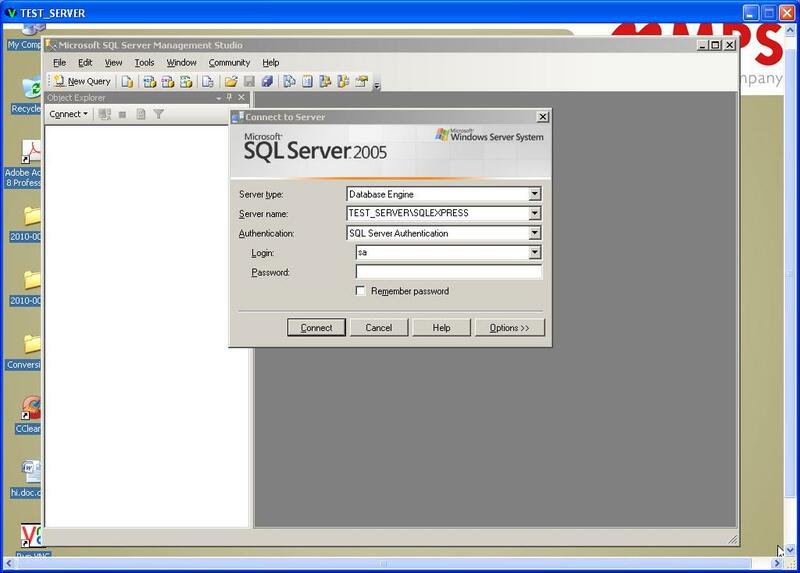 Enter the password of the server in the Password field. 3. Click Connect. 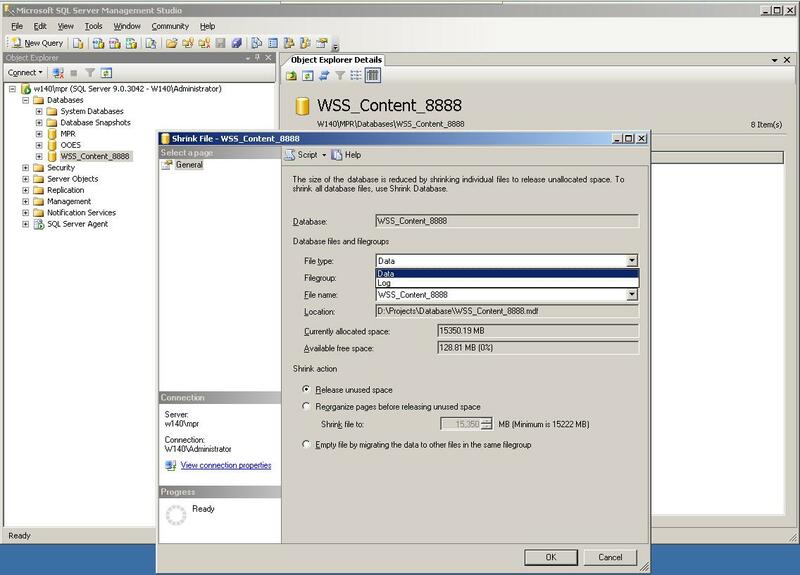 It will connect to the database server and Microsoft Server Management Studio window will refresh (see Figure 2). 4. 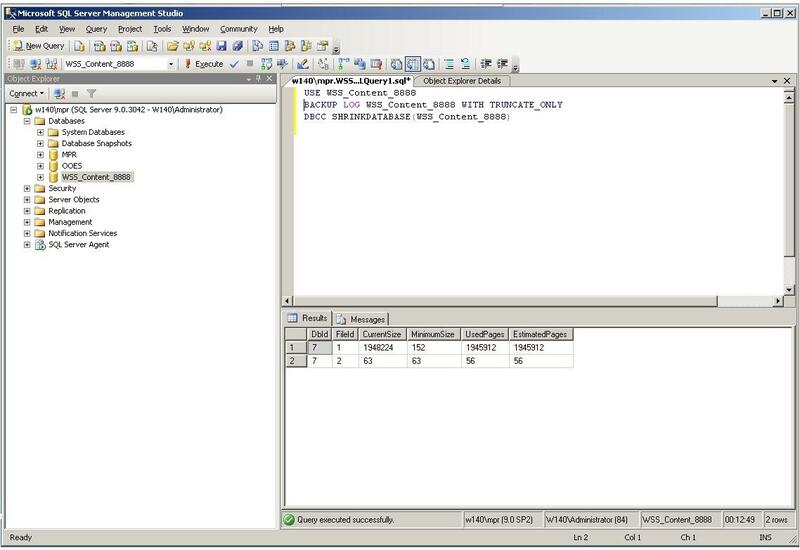 Expand Databases subfolder (see Figure 3). 5. 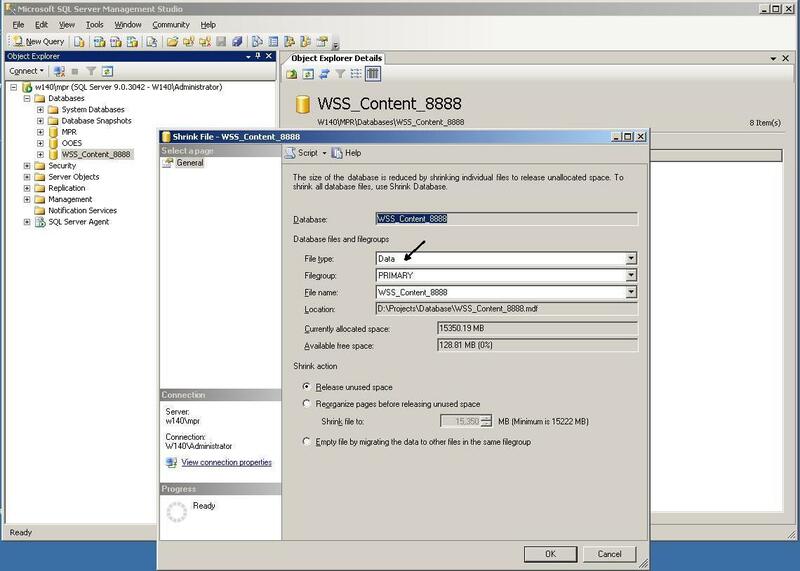 Select ‘WSS_Content_8888’ sub folder. 6. Click . A new query file will open. 7. Type the following query in the new query file. (see Figure 4). 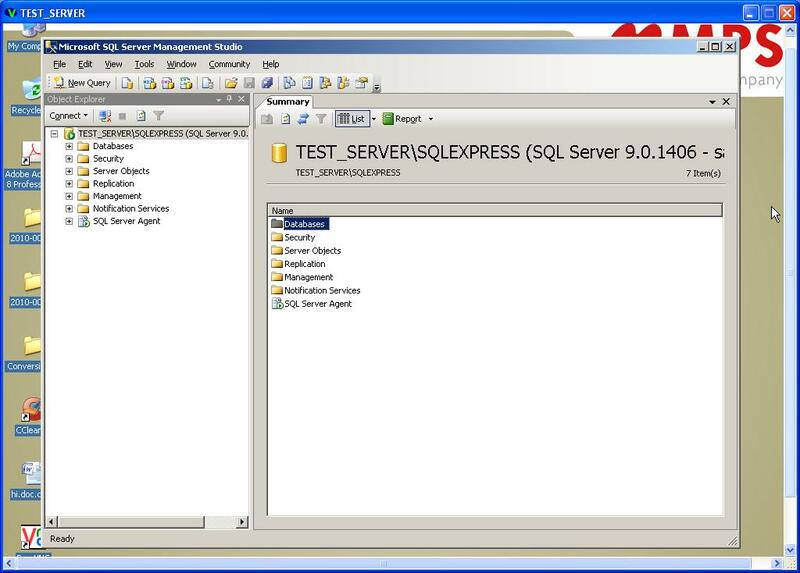 Go to Start –> Programs –> Microsoft Server 2005 –> SQL Server Management Studio, Click SQL Server Management Studio. 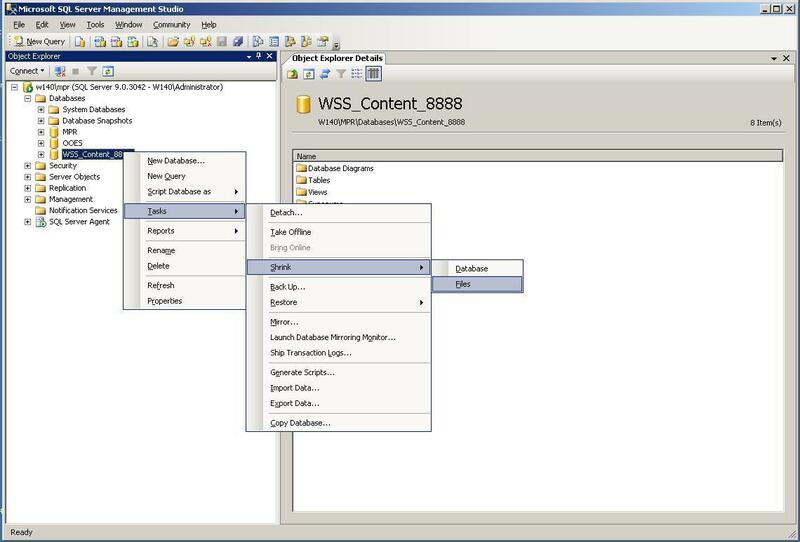 Connect to Server dialog box will appear (see Figure 1). 4. 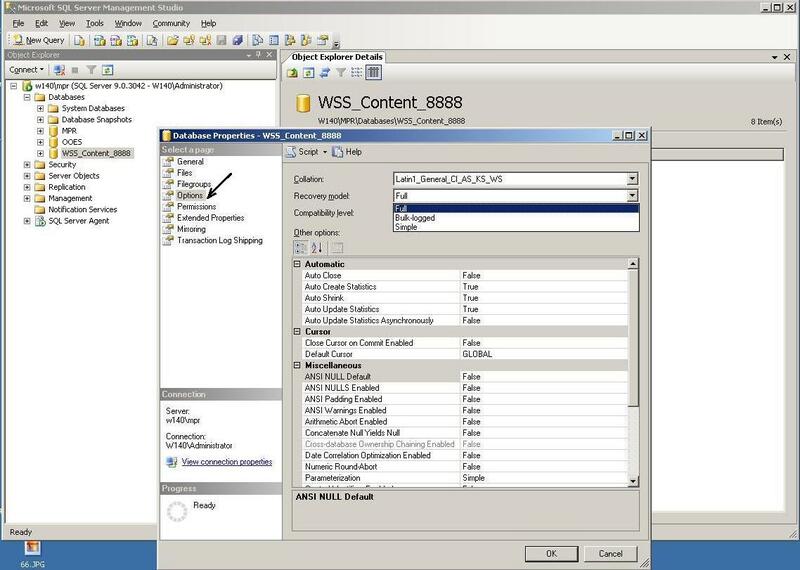 Expand Databases sub folder (see Figure 3). 7. Change the value in Recovery model to simple (as shown Figures 6 & 7), Click OK button. 10 . 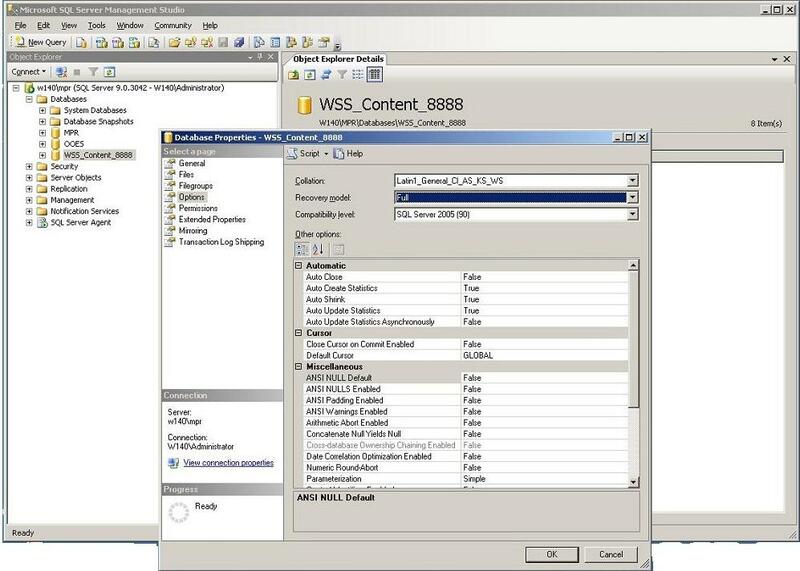 Click OK, it compresses database ‘WSS_Content_8888’ data (.mdf) file. 11. 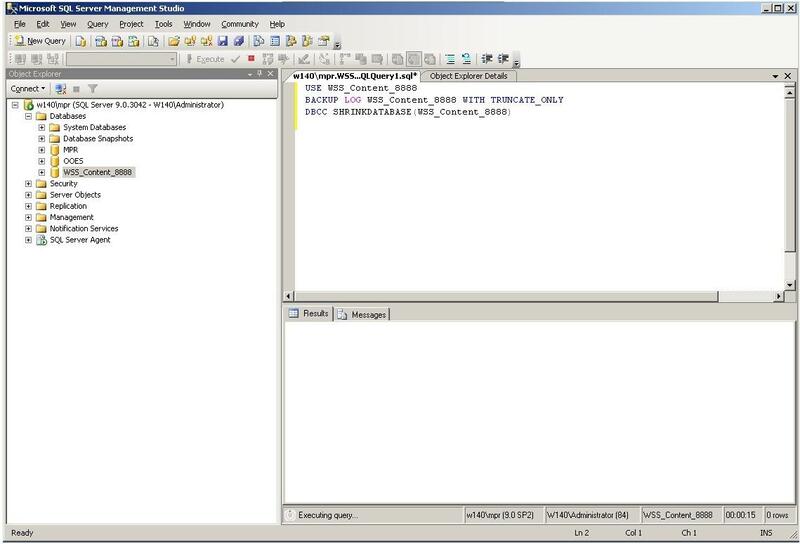 Click on the file type drop down menu (see Figure 10), and select LOG., Click OK button. Thank you Jeffrey for your suggestion.